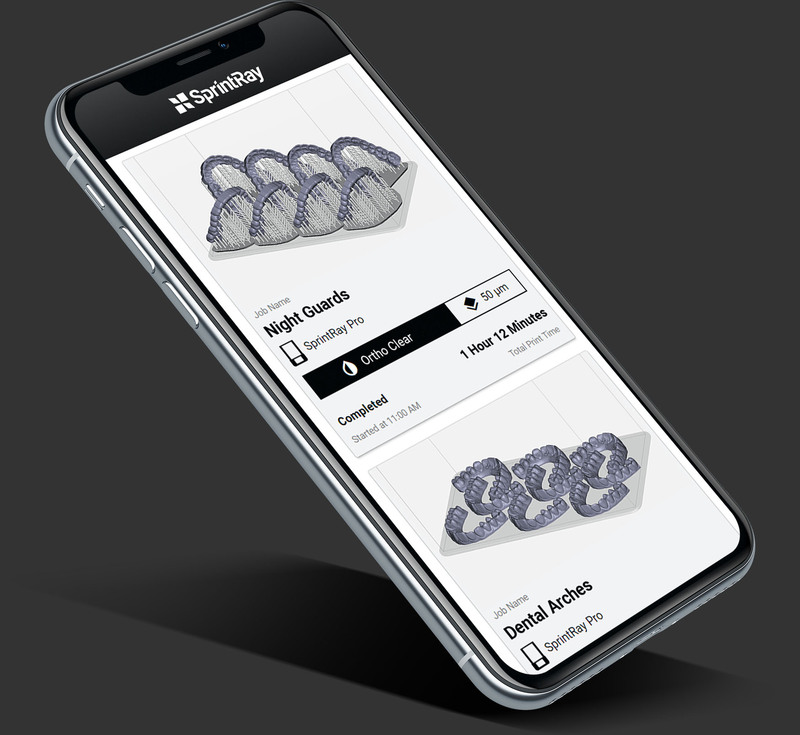 Download Software for SprintRay 3D Printers – SprintRay Inc. Requires OS X 10 or higher / Windows 10 or higher. Direct integration from 3rd party software into RayWare leads to a less confusing, faster, and more complete experience. Handoff OBJ and STL files directly to RayWare, whether it’s already open or not, with simple command line arguments. This quick guide shows you how. 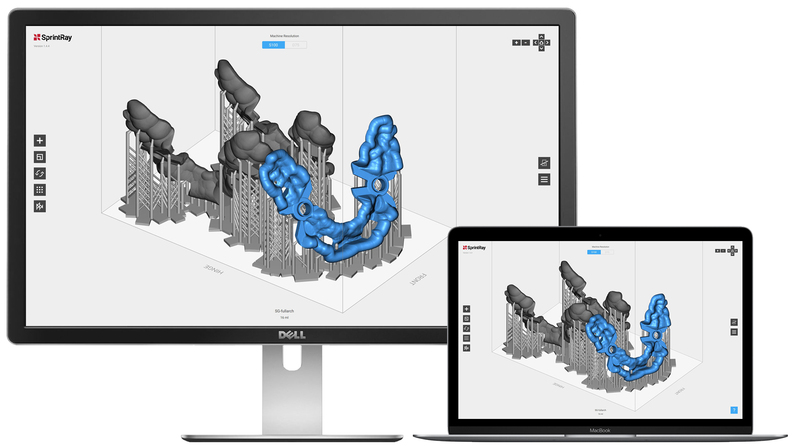 The new SprintRay Software is here, and it is on a mission to make digital dentistry more efficient. We’ve automated the process of turning intraoral scans into printable files and added other cool features so you can spend less time fiddling around with software and more time with your patients. Easily open intra-oral scans in our software, automatically add a base and print. 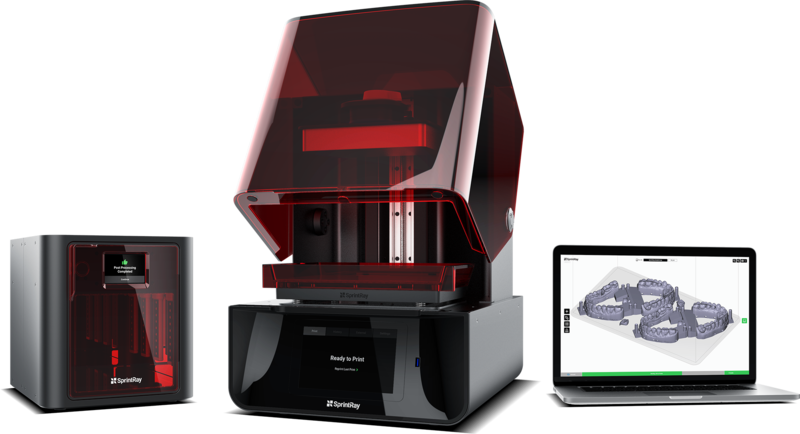 Just like that, one of the most frustrating things about dental 3D printing is now a thing of the past. Create labels that are automatically added to your print’s supports. Managing large batches has never been so easy. SprintRay Pro’s USB port makes printing easier than ever. Load a model and print directly from a flash drive, no computer required. SprintRay's cloud connect feature provides status updates, email notification when a job is done, monthly reports on resin usage and printer up-time and recall of past jobs - all from any connected device. Introduce Digital Dentistry to Your Practice. SprintRay products come with everything you need to bring your dental practice into the world of modern digital dentistry. Our product and customer support ecosystem are ready for you.